On left you can see list of media. On right is a content of selected media. For movies with imported info from imdb database it is possible to see imported info as tooltip for records. You can set for each record in library its visibility. You can also set visibility for all files in directory and visibility subdirectories in directory. Add item to library. 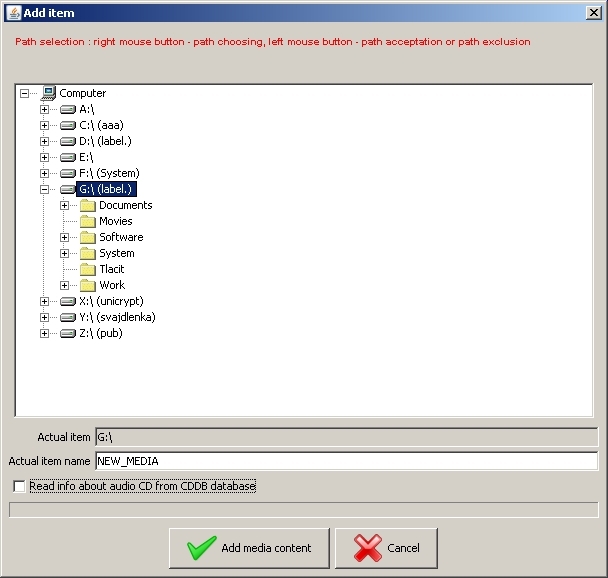 It is possible to select directories that will not be readed. 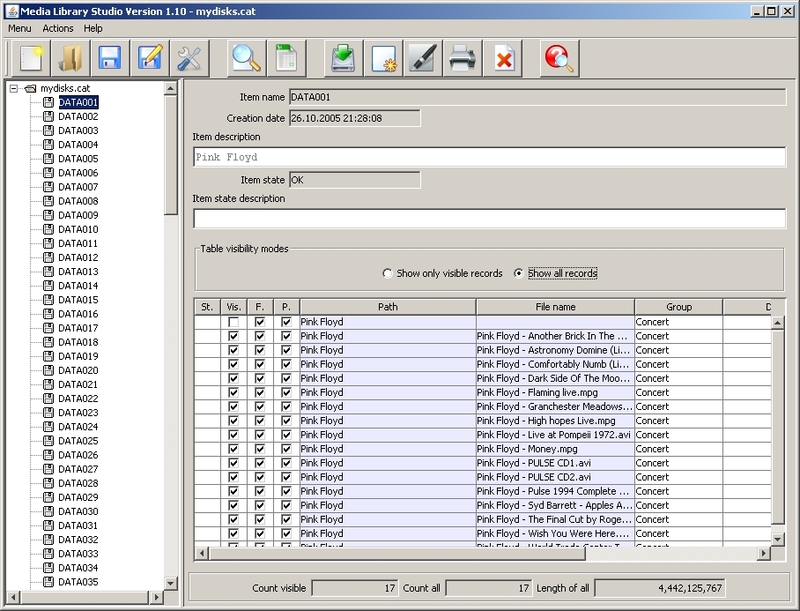 For audio CD it it is possible to read data from CDDB database. 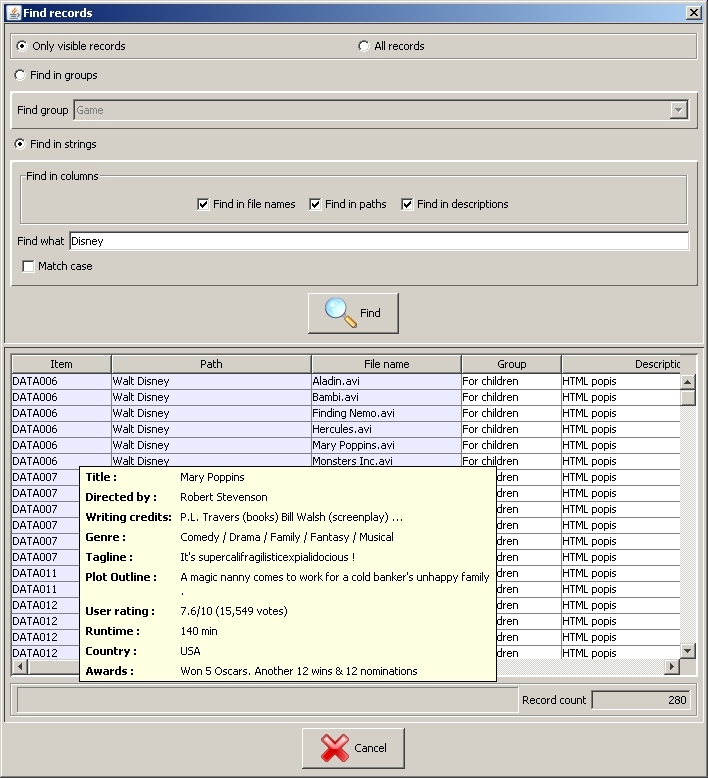 It is possible to find records in group, record which contains typed text in name or in description. 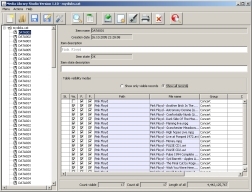 All library you can export to Microsoft Excel file. 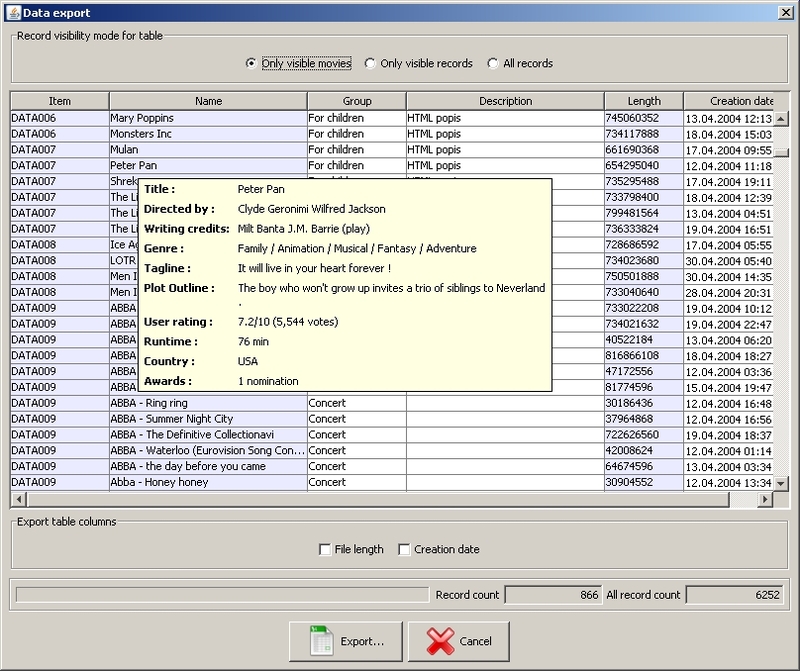 You can choose from records all records, visible records and movies. 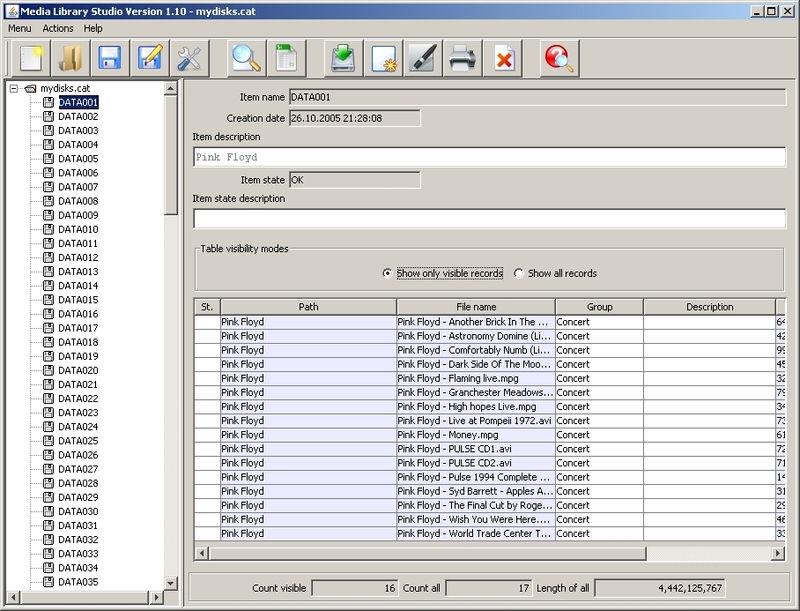 Excel file also contains description from IMDB database. 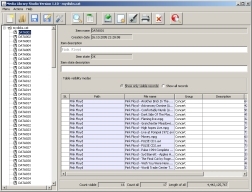 Records in library can be edited. For each record it is possible to choose group and for movies it is possible to read IMDB info. 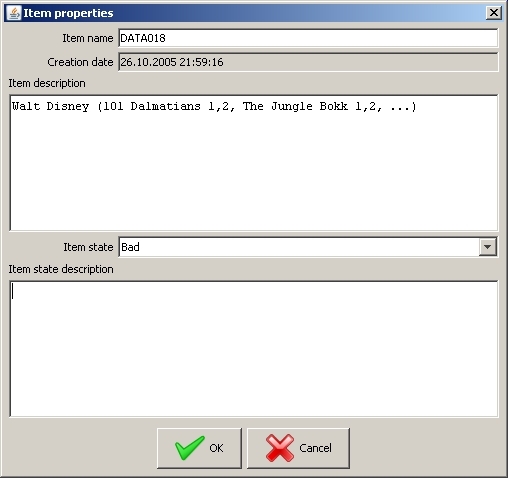 Here it si possible to change item name, item description and state of item. It is a simple way to check item as lended, or bad. 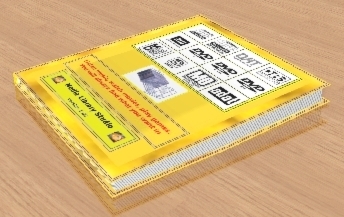 For each media it is possible to print cover in standard format or slim format. With choosing menu Help, item About you can register your program. After registration is count of media in library not limited.